I always keep my eye on Etsy's vintage offerings...and in a recent search, I came across many a chic item that I wouldn't mind bringing home to the AO house. 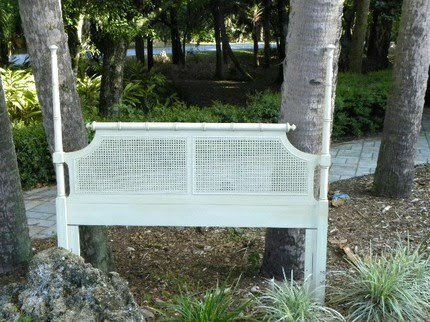 This headboard is fantastic...if you can get past the trees in the picture and imagine how chic it would make your bedroom. 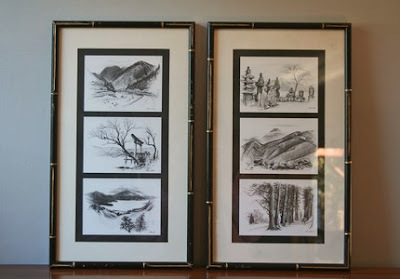 And these prints are lovely...the bamboo frames are great with their black and gold finish and I think the etchings in black and white are beautiful. Do any of these treats strike your fancy? 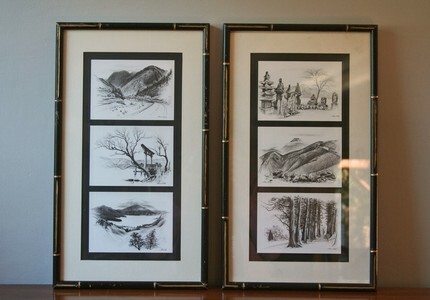 Love those bamboo frames...I think I'd repaint them in a glossy white though. 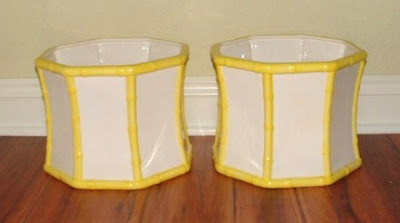 I tried the link to the planters and came up empty...got a message that there was no site...can you help out with the name, please or perhaps retry posting the link? Many thanks!! Vickie, I think they are sold :( I did a couple of searches on Etsy to try and find them again, but they aren't coming up in any searches and I unfortunately don't recall the seller. 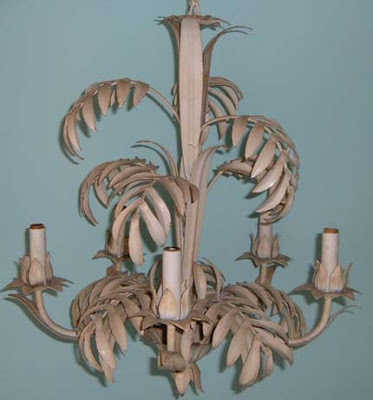 Try searching "yellow planter" or "bamboo planter" and you'll probably come up with some other good options - good luck! gorgeous finds - would love that bedhead. If only shipping to Oz wasn't such a killer!